R.T. Kendall has given us a treasure... the hope and possibility of experiencing incredible freedom and peace that can only come when we walk in total forgiveness. One of the core messages of the gospel is that of total forgiveness... not only that we can be totally forgiven by God, but also that we must, in turn, totally forgive others. Our culture is bound up in bitterness, resentment, and wallowing in wounds inflicted upon us by others, wounds that we all too easily accept and even cling to! 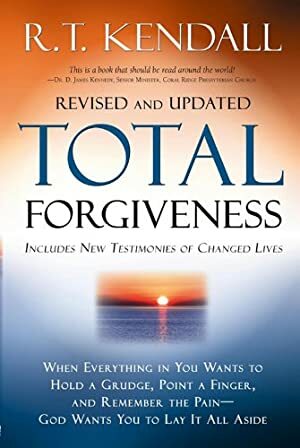 This revised and updated best seller lovingly challenges believers to look within and root out those hidden and hardened places where subtle resentments and areas of un-forgiveness have been allowed to remain. Log In to track R.T. Kendall on eReaderIQ. to be notified each time the price drops on any book by R.T. Kendall. to stop tracking R.T. Kendall. The price of this book has changed 129 times in the past 2,423 days. The current price of this book is $10.49 last checked 12 hours ago. This lowest price this book has been offered at in the past six months is $7.02. The lowest price to date was $2.99 last reached on November 26, 2016. The highest price to date was $12.10 last reached on January 2, 2015. We last verified the price of this book about 12 hours ago. At that time, the price was $10.49. This price is subject to change. The price displayed on the Amazon.com website at the time of purchase is the price you will pay for this book. Please confirm the price before making any purchases.